DULLES, Va.Sept. 25, 2008--Orbital Sciences Corporation (NYSE:ORB) announced today that its Minotaur II+ rocket was successfully launched for the U.S. Air Force Space and Missile Systems Center (SMC) in support of the Missile Defense Agency (MDA) Near-Field Infrared Experiment (NFIRE). The mission was conducted on Tuesday, September 23, 2008, from Vandenberg Air Force Base (VAFB), California. The program office responsible for Minotaur launch vehicles is the Launch Test Squadron of the Space Development and Test Wing (SDTW) at Kirtland Air Force Base, New Mexico. This mission was the eighth for the Minotaur II Target Launch Vehicle (TLV) and the 15th for the Minotaur family, all of which have been successful. The launch originated from VAFB at approximately 11:57 p.m. (PDT) on September 23. Final targeting for the mission was uploaded to the rocket approximately one and a half hours prior to launch. 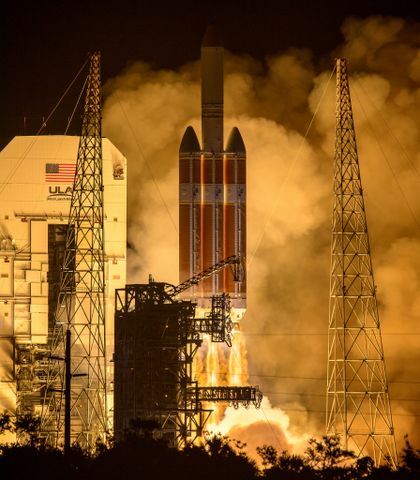 The vehicle was successfully launched within a one-second launch window, which was required to meet the mission's precise targeting requirements. The vehicle's first two solid rocket motors burned for approximately two minutes, at which time the vehicle entered into a coast phase lasting over one minute. After its coast period, the third and final stage ignited, placing the vehicle on course to burn through a precise aim point at an exact time nearly 250 km above the Pacific Ocean. The vehicle was being observed by the NFIRE satellite and a variety of Missile Defense Agency sensors deployed across the Pacific region. At the point of closest approach, the Minotaur target vehicle and NFIRE satellite were within several kilometers of each other. In addition to conducting this Minotaur II+ TLV mission, Orbital also launched the NFIRE satellite in April 2007 aboard a Minotaur I space launch vehicle in a mission conducted from NASA's Wallops Flight Facility in Eastern Virginia. Orbital also conducted an earlier Minotaur II+ TLV launch that was observed by the NFIRE satellite last year. Minotaur II+ is an upgraded version of the reliable and proven Minotaur II vehicle, yielding a more capable vehicle for future applications. The major upgrades include a higher performing third stage and larger structures. The new stage and structures enable the launch of larger and heavier payloads or reentry vehicles. The previous Minotaur II+ mission was launched in August 2007 and met all customer requirements, also demonstrating precise timing and targeting accuracy. The flight involved a number of first flight items, including a new Pierce Point Guidance algorithm and demonstration of a launch minus 90-minute target point upload to the flight computer, capabilities that have Operationally Responsive Space (ORS) applications. Orbital is one of the country's leading suppliers of launch vehicles used in missile defense and other military applications. In addition to numerous configurations of target vehicles, Orbital is also designing and building the interceptor boosters for two major missile defense programs, including the Ground-based Midcourse Defense (GMD) system, which uses the company's three-stage Orbital Boost Vehicle (OBV), and the Kinetic Energy Interceptors (KEI) program, which is designed to intercept and destroy enemy missiles in the early boost phase of flight. These interceptors are part of a layered missile defense system for defending the nation, our armed forces and our allies against ballistic missile attacks. The Minotaur product line consists of the only proven launch vehicles currently capable of supporting the U.S. Department of Defense's evolving ORS space launch requirements, as well as long-range target delivery for missile defense and technology demonstration missions. 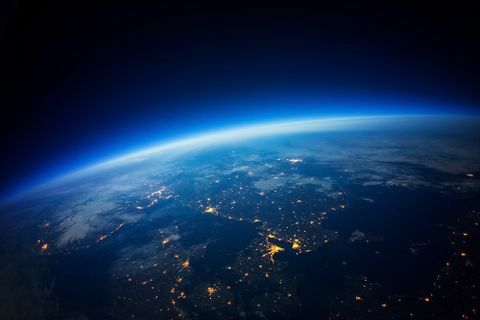 They are specifically designed to be capable of launching from all major U.S. spaceports, including government and commercial launch sites in Alaska, California, Florida and Virginia. In addition, the minimal amount of specialized ground infrastructure that is required to support Minotaur launches enable them to be employed at other U.S. launch sites. 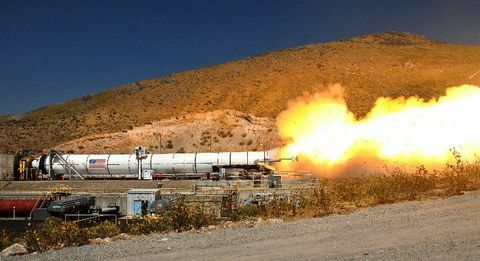 Orbital's use of standardized avionics and subsystems, mature processes and experienced personnel make Minotaur rockets both reliable and cost-effective for U.S. government customers. to 6,500 lbs. or serve as a target vehicle for testing U.S.
missile defense systems and similar missions.